Wearing contact lenses is a convenient vision correction option for those who don’t prefer prescription glasses. However, they have to be properly maintained to prevent irritation and infection. Not all the things you hear about contact lenses are true. In today’s post, your local optometrist, Vision Care Associates debunks myths about contact lenses. Extended wear contact lenses can be worn in your sleep, but they come with great risk of infection. Every day, your lenses are exposed to dirt, smoke and debris which can build up over time. Daily wear lenses that you remove at the end of the day is a safer option. Eyeglasses are not very handy when you are constantly moving but contact lenses are a no better option. Wearing contacts during activities that deal with sand, snow, or dirt can cause eye damage or infection. Skiers and hikers who wear contacts can suffer from glare. Hikers, backpackers and mountain bikers should be cautious about dirt and dust that may enter the eye as well as the fact that they have to carry their lens care system along with their gear. Consult with your eye doctor for complete eye health examinations and advice on proper eyewear for your sports activity. 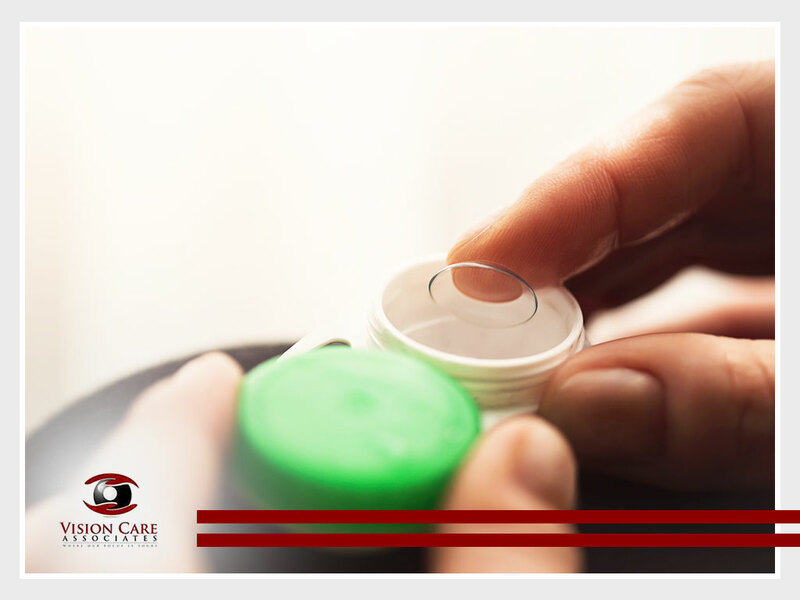 There isn’t a contact lens that is approved for swimming and contacts should not be exposed to any water. If you participate in water sports, visit your local eye center to discuss safer options. Having an active lifestyle doesn’t only involve doing sports. Mothers of small children are always on the move and they may not have a moment to care of their contacts. A study found that one in a hundred contact lens wearer is at risk of developing bacterial infections or microbial keratitis which may lead to vision loss. Overnight wear and improper care increase this risk. Consistency is key when it comes with wearing contact lenses. Always follow the maintenance and care system prescribed by your eye doctor to avoid eye problems. Contact Vision Care Associates for optical services. Call us at (304) 422-1841 or complete our online form. We serve clients in Parkersburg, WV.